Home › Community › On to the Future! Happy New Year! Time to look forward, imagine, wish, and contemplate! Time to take action! 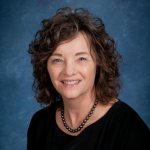 Last fall I invited you to take the strategic planning survey. 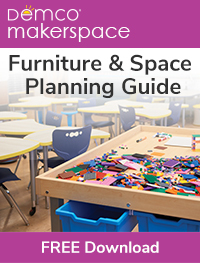 AASL finds itself at a pivotal point in its existence, and as a result, the association sought your guidance to create a strategic plan that will set the course for AASL’s future. Futurecasting is never simple and, at its core, involves the hard task of gazing forward when the future itself remains unwritten. If only we had that crystal ball… Now the survey has closed, data is in, and interviews have taken place with school librarians across the country. These inputs will help us take stock of our association and determine what we do well and what needs to be evolved and reimagined. It is time to create a master plan for the association to move forward with a shared vision. At the ALA Midwinter Meeting in Seattle, representatives from around the country will embark on a deep dive into strategic planning. School librarian leaders will assess why we exist, where we are, where we want to go, and what we dream about for the national school librarian association. We will look closely at the survey and interview data. 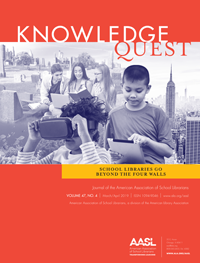 It is imperative that we examine both the educational landscape and the pivotal point in which we find ourselves as we evolve the art and craft of school librarianship through the implementation of AASL’s National School Library Standards for Learners, School Librarians, and School Libraries. We will engage in a process to create a robust course of action for the association. My hope is that our collaborative work pushes us to truly innovate and reinvent our association while learning from and honoring the elements of AASL that we know and love. The strategic planning process requires ongoing conversations and thought to refine. We anticipate approval of a plan at ALA Annual and will be sharing as plans are finalized. The implementation of this new strategic plan is critical because it will serve as the path for our endeavors going forward. The execution of any plan takes commitment, energy, dedication, and a detailed understanding of why. Business executive Richard M. Kovacevich aptly put it best, “A vision and strategy aren’t enough. The long-term key to success is execution. Each day. 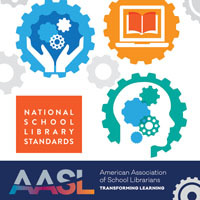 Every day.” Through thoughtful and consistent implementation, AASL will be able to realize this new vision and strategic plan crafted by school librarians. Here we go, learner-ready school librarians—on to the future! Bolman, Lee. 2003. Reframing Organizations: Artistry, Choice, and Leadership. 3rd edition. page 206. John Wiley& Sons. https://books.google.com/books?id=nz2DpJLJDSoC&pg=PA206&dq=“A+vision+without+a+strategy+remains+an+illusion.”+Lee+Bolman+origin&hl=en&sa=X&ved=0ahUKEwi9w6vg5rjfAhUKZawKHex3C_YQ6AEIJzAA – h.
Drucker, Peter. n.d. https://quoteinvestigator.com/2012/09/27/invent-the-future/ – return-note-4515-12. Kovacvich, Richard M. n.d. https://quotefancy.com/quote/1639785/Richard-M-Kovacevich-A-vision-and-strategy-aren-t-enough-The-long-term-key-to-success-is.